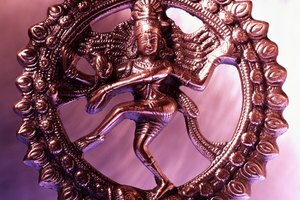 What Does the Hindu God Brahma Represent? God manifests in unlimited forms, including as the goddess of prosperity Lakshmi. Hindus believe Brahman is the supreme reality that controls all the power in the universe. They do not worship Brahman directly, but strive to know this reality through spiritual practices and worship of the many manifestations of God. Some sects believe that the inner self or soul, known as the Atman, is inseparable from God. The term Ishta Devata translates as "a desired form of God," and Hindus worship the god form that most inspires them. 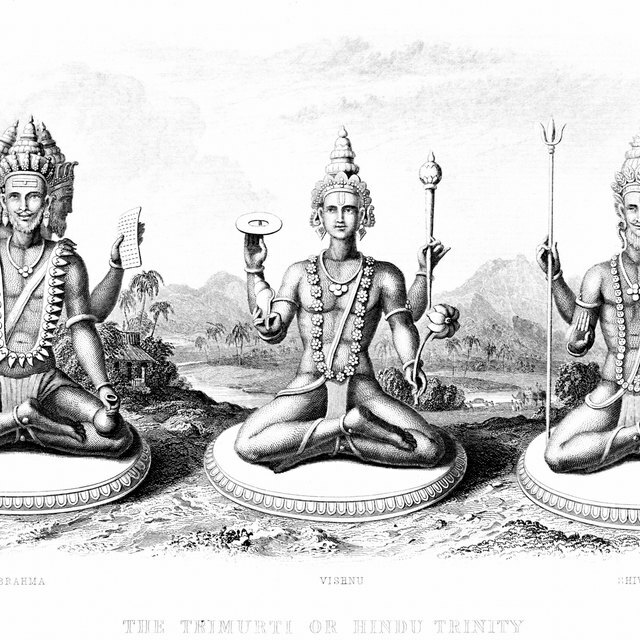 While many people believe Hinduism is a polytheistic religion with multiple deities, the religion is much more nuanced. 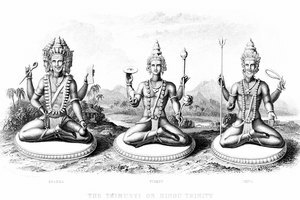 Many practitioners see it as monotheistic, similar to the Christian belief of three forms of one deity. Because God is unlimited, Hindus believe the forms and energy God produces are unlimited as well. Hindus worship gods that have different physical appearances or different names, and yet, they are all worshiping a part of the same deity. Whatever from of the divine with which a person identifies, and whatever name they call that form, they are all part of the same god. Vishnu's four hands hold objects representing the flow of life and the universe. One of Hinduism's largest denominations, Vaishnavas, worships the deity Vishnu, who they believe works with two other deities, Brahma, who creates the universe, and Shiva, who destroys it. Vishnu restores the dharma on earth and corrects the order of things when they fall out of joint. He does so by appearing in the forms of an avatar, like Krishna or Rama. People generally represent Vishnu with blue skin and four arms holding various objects: a conch, which makes the sound "om," the sound of creation; a chakra, which represents the mind; a lotus flower, which represents freedom; and a mace, which represents strength. 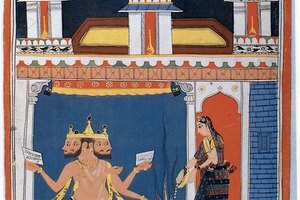 In one story, Vishnu saved a potion that granted immortality to the gods. Shiva, the destroyer, appears tranquil in his representations. The Shaiva sect worships the god Shiva, who is known as the lord of the dance. They believe Shiva destroys the universe, which actually helps construct it again by eradicating problems that existed. Shiva has a third eye, which signifies knowledge, and three white lines drawn across his forehead called vibhuti. The lines symbolize his wealth, power and omnipresence. The egalitarian relationship between Shiva and his wife Parvati typically symbolizes harmony and balance within the universe. Statues and paintings of Shiva represent him as a calm deity, though he is in charge of destruction, and present him in a meditative and peaceful state. Shaktas focus on goddess worship, with manifestations ranging from the loving and caring to the destructive and ferocious. Shaktas worship forms such as the benign and loving Lakshmi, the goddess of both monetary and spiritual prosperity. Lakshmi has four hands, each representing a different idea: karma, dharma, wealth and liberation from the cycle of death and rebirth. On the other side, Kali is a fierce deity who gave birth to the universe but also destroys it. Shaktas believe Kali provides salvation from the death and rebirth cycle. Shaktas believe some goddesses, such as Shitala, demand blood sacrifices. 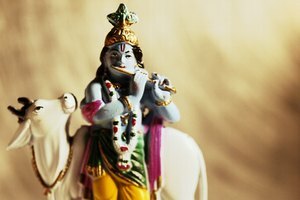 Who Is Chandra the Hindu God? Peckinpaugh, Timothy. "What Do Hindus Call Their God?" Synonym, https://classroom.synonym.com/what-do-hindus-call-their-god-12086441.html. 29 September 2017.